Two-day National Conference “Intellectual Property Policies for Universities and Innovation” was held in the Large Conference Hall at the University of National and World Economy (UNWE) on November, 25-26, 2015. The event was organized by the Institute for Intellectual Property and Leadership (IIPL) of UNWE in cooperation with the World Intellectual Property Organization (WIPO). The Conference was opened by Prof. Dr. Borislav Borisov – Honorary Rector of UNWE, Director of IIPL, Head of the Creative Industries and Intellectual Property Department. Prof. D.Sc.(Econ.) Statty Stattev – Rector of UNWE, Prof. Dr. Kostadin Kostadinov – Deputy Minister at the Ministry of Education and Science of the Republic of Bulgaria, and Mr. Evgeniy Sesitsky – Department for Transition and Developed Countries, WIPO, delivered welcome addresses to the Conference participants. Keynote speakers of the Conference were: Prof. Dr. Borislav Borisov, Prof. Dr. Kostadin Kostadinov, Mr. Evgeniy Sesitsky, Ms. Vlatka Petrovic, Head, Technology Transfer Office, University of Zagreb, Croatia, Dr. Nedeljko Milosavljevic, Director, Center for Technology Transfer, University of Belgrade, Serbia, Prof. Dr. Roumen Nikolov, Head of Computer Sciences Department, University of Library Studies and Information Technologies (ULSIT), Assoc. 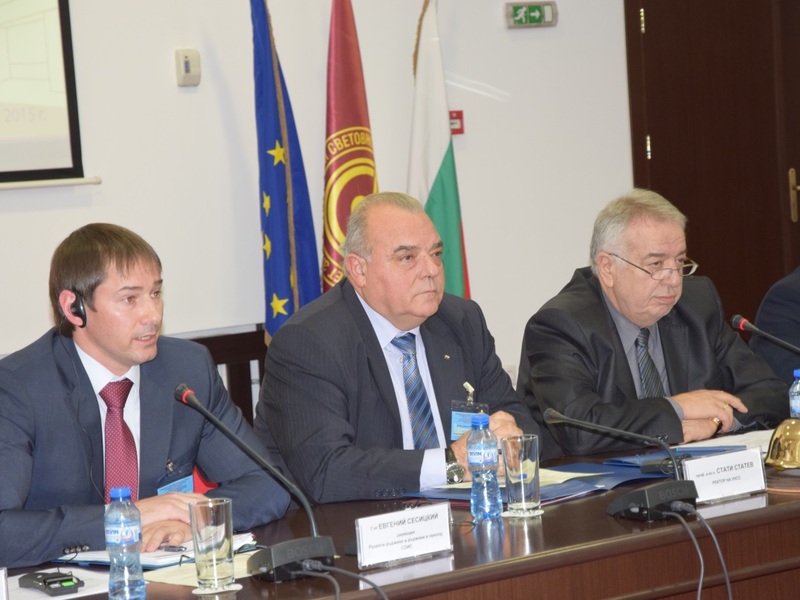 Prof. Dr. Evgeni Evgeniev, Deputy Rector for European Projects and Further Education, University of Finance, Business and Entrepreneurship (VUZF), academics from UNWE, Plovdiv University “Paisii Hilendarski”, Bulgarian Academy of Science (BAS), etc. In his welcoming speech the Rector of UNWE, Prof. D.Sc.(Econ.) Statty Stattev, stated that once again UNWE was hosting such an authoritative forum as the National Conference organized by IIPL and WIPO. He stressed on the fact that for first time a large scale Conference on Intellectual Property (IP) Policies for Universities was held in Bulgaria, which meant that IIPL was again a pioneer in this field. Prof. Statty Stattev pointed out that IIPL is a flagman and an unique institute in the country, which creates academic standards in IP teaching and research all together with the Creative Industries and Intellectual Property Department. Mr. Evgeniy Sesitsky welcomed the participants and the guests of the Conference on behalf of Mr. Ryszard Frelek, Program Manager, Department for Transition and Developed Countries, WIPO. He stressed on the role and the importance of IP for innovations and countries’ economic growth. Mr. Sesitsky emphasized the fact, that WIPO as a member of UN, supported IP development of the member states of the organization as well as promoted development of national strategies and IP systems. Mr. Sesitsky congratulated UNWE for the excellent organization and enhanced that WIPO attached importance to the universities as institutions and spaces for IP development. He expressed confidence that UNWE was the most appropriate venue for the event attended by leading IP experts. Prof. Dr. Kostadin Kostadinov, Deputy Minister at the Ministry of Education and Science of the Republic of Bulgaria, noted the leading role of the main organizer of the event – IIPL as well as the leadership mission of Bulgarian universities and the fact that UNWE was a national leader in higher education. The Deputy Minister stressed the theme of the Conference was important for the Republic of Bulgaria and IP was a guarantee of economic growth. In his presentation “The Global Innovation Index and Introduction to WIPO Services Related to IP Issues in the University Setting”, Mr. Sesitsky outlined that IP was a key development tool and pointed out the role of WIPO for innovation and creativity promotion as well as its support for development of IP policies and strategies. He pointed out that WIPO provided advice on national strategies development, gave assistance to research in the area of IP of countries in transition, collected and disseminated information and statistics, organized seminars and trainings. The speaker drew attention to the 39th place of Bulgaria in ranking of the WIPO Global Innovation Index, which measured innovations and their efficiency, and noted that Bulgaria had climbed five places from 2014. Mr. Sesitsky noticed that national innovation policy was seen as very important for the support of economic development of each country and he cited the message of Dr. Fransis Gurry, WIPO Director General and “Doctor Honoris Cause of UNWE”: “Innovation holds far-reaching promise for spurring economic growth in countries at all stages of development. However, realizing this promise is not automatic, each nation must find the right mix of policies to mobilize the innate innovative and creative potential in their economies”. Prof. Dr. Kostadin Kostadinov discussed institutional policies of the Bulgarian universities in the field of IP. He commented upon effectiveness of the use of publicly funded research which depends on the right IP management, the development of entrepreneurial culture, better communication, etc. He noted that most national universities had not an entrepreneurial mission as well as there was lack of measures focusing on mobility of researchers. According to Prof. Kostadin Kostadinov IP takes part in the return on innovation investment and he commented on the timely and effective transfer of technologies as well as their transformation into innovations. Prof. Kostadinov said that the role of the universities was to be several steps ahead of the public and to create new industries. He clarified the EC Program (2008) and its recommendations with regards to establishment and development of IP policies, technology transfer, the Code of best practices, the recommendations for each Member State, etc. 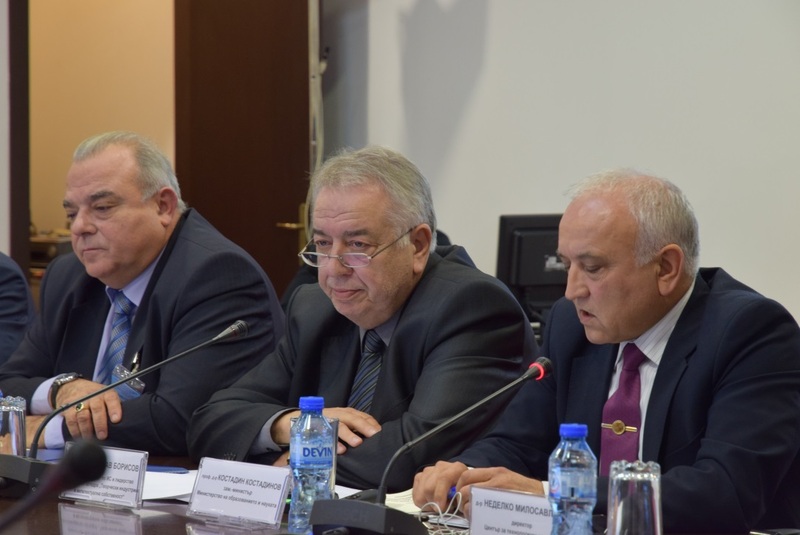 The speech of Prof. Dr. Borislav Borisov was focused on the main factors that hindered innovations and technology transfer at the university as well as at the business level in Republic of Bulgaria. 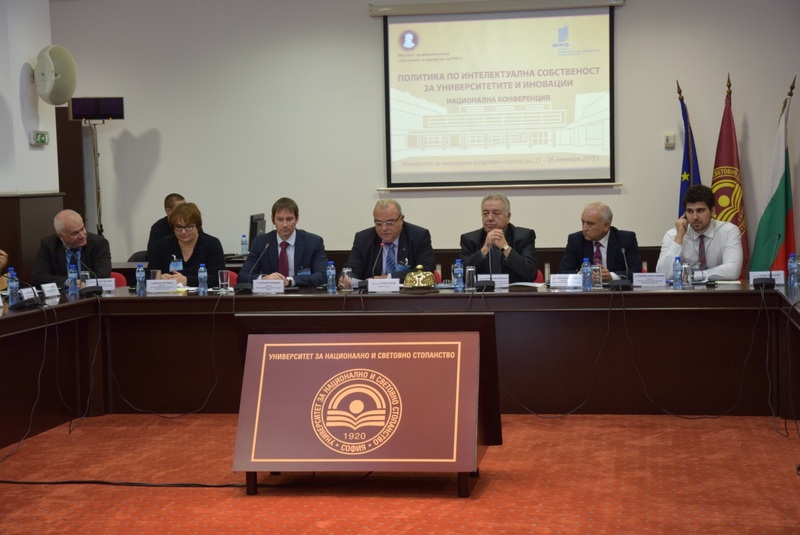 In the ensuing discussion, Prof. Dr. Borislav Borisov commented upon some misconceptions in the higher education legal system. 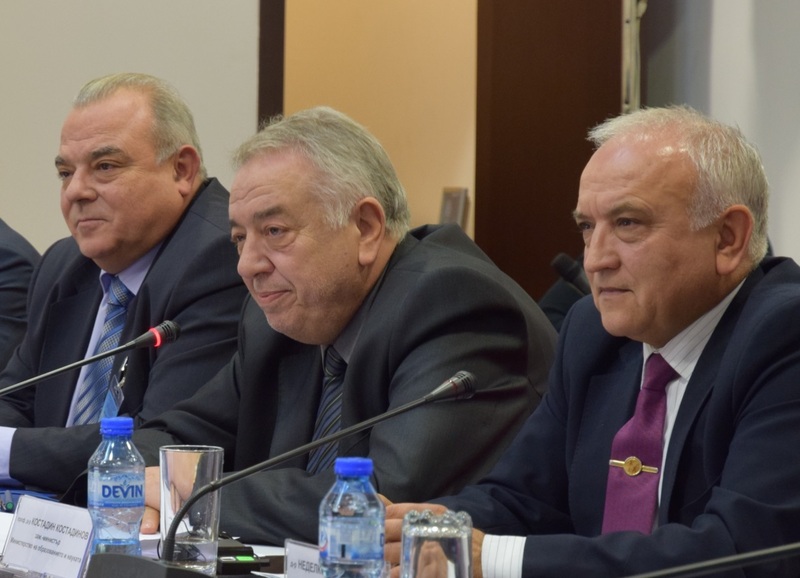 He noted that Bulgarian universities, unlike EU higher education institutions, were prohibited to realize economically theirs scientific products. As Prof. Borisov said, the university cannot sell its scientific work; the academics may do it, but not the university as such. 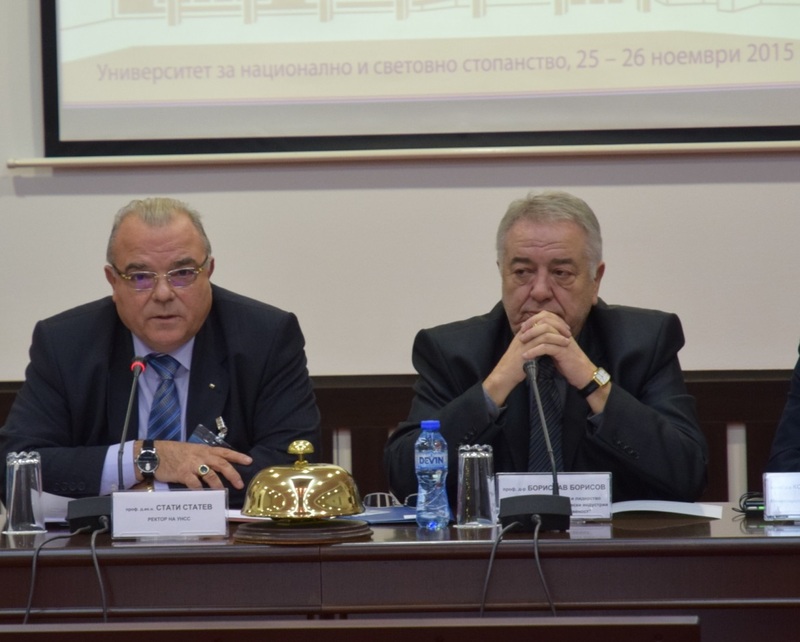 In practice the state does not provide a powerful financial resource which enables the universities to improve research and education quality without asking government grants, pointed out Prof. Borisov. 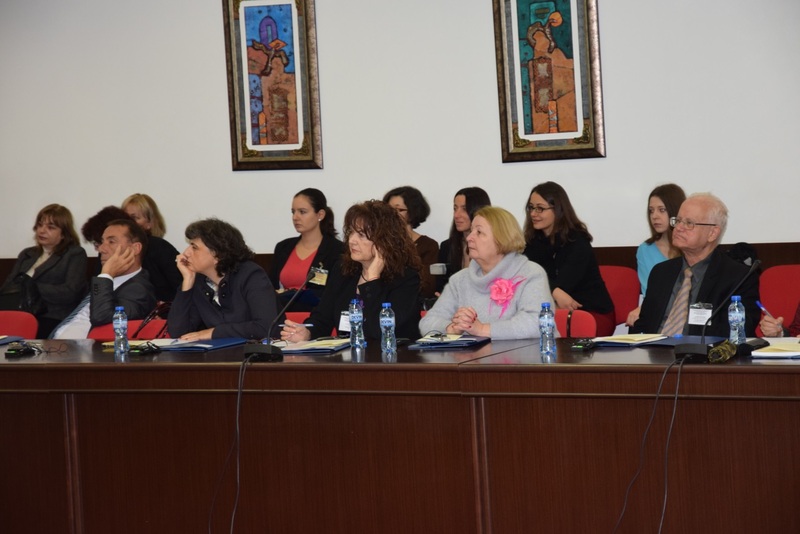 The Conference was organized in workshops and discussions. Practical exercises in small teams were conducted during the second day of the event. The key topics of the coaching sessions were as follow: IP Ownership of Research Results; Who is Managing IP and IPR Management Procedures: Timelines, Funding and Outcomes; Establishment of a Technology Management Unit – Mandate and Services; IP Commercialization Options for the Institution and their Impact on IP Ownership: Assignment of IPR, Licensing and Establishment of Startup; Conflict of Interest, Benefit Sharing and Incentive Policies. Intellectual Property Policies for national universities and research organizations in Bulgaria were discussed on round table sessions.